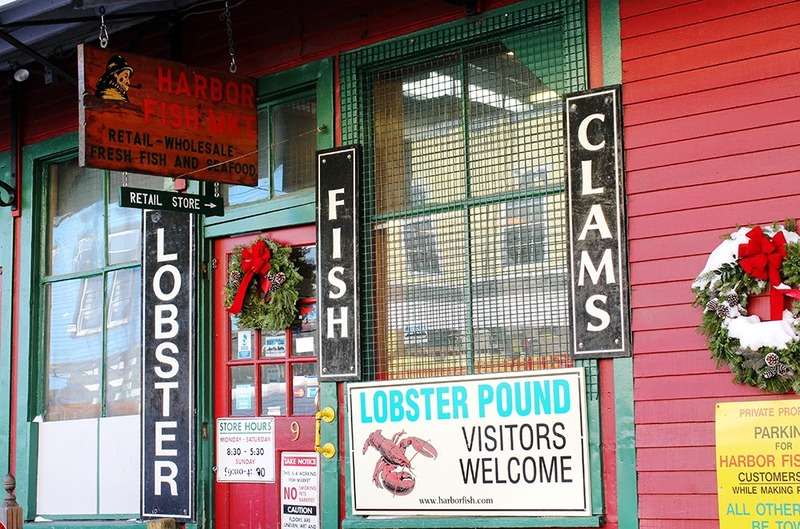 It’s been said that Harbor Fish Market is synonymous with Maine’s iconic industry and has become a must-see destination for tourists and locals alike. It’s the ultimate authority on Maine seafood. 9 Custom House Wharf in Portland, Maine, has been the site of a fish market since sometime in the late 1800’s. 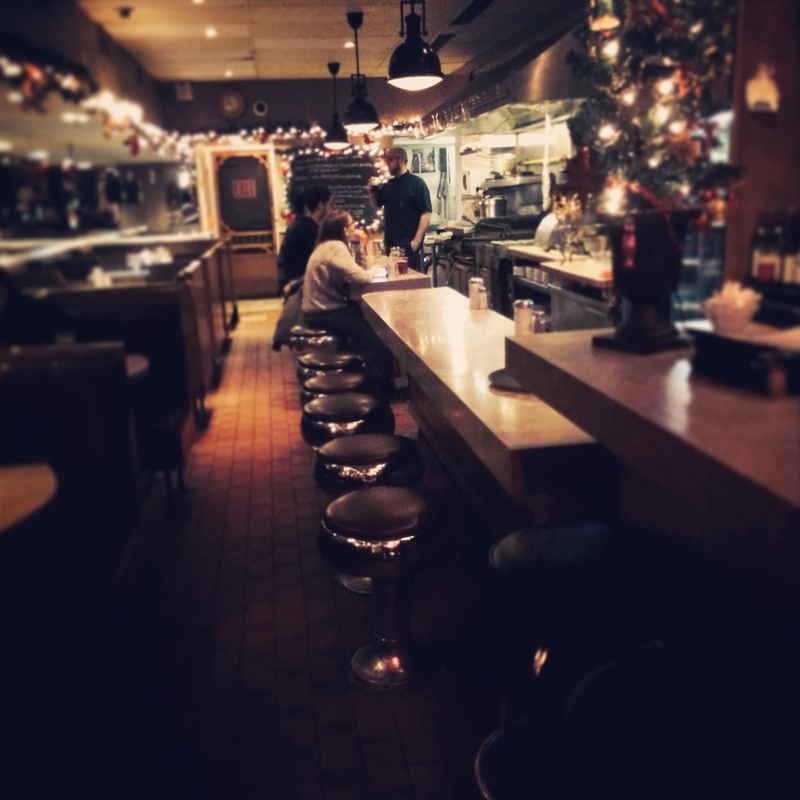 It became the Harbor Fish Market when the Alfiero family purchased it in 1966. Nick Alfiero is the owner of Harbor Fish along with his two brothers, Ben and Mike. 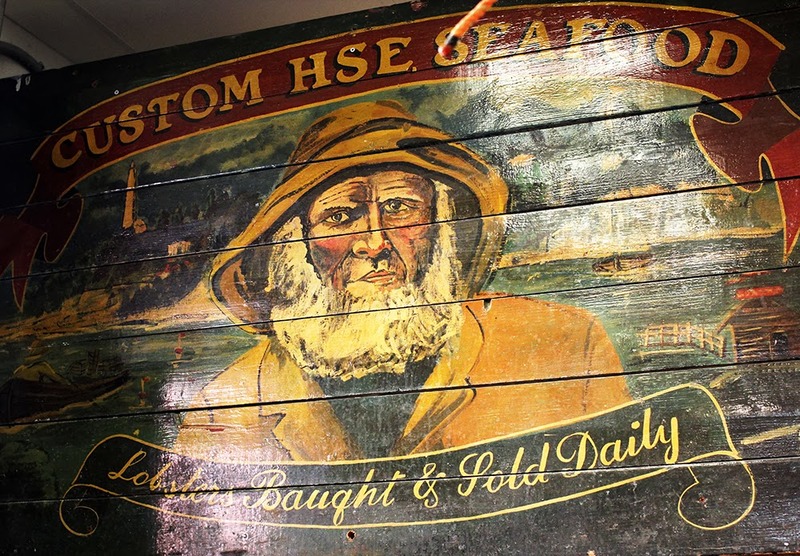 Their father founded the iconic seafood market, located on Custom House Warf, in 1969. Now for the first time, the family behind the successful business shares some of its favourite seafood recipes in this collection of more than 50 dishes. 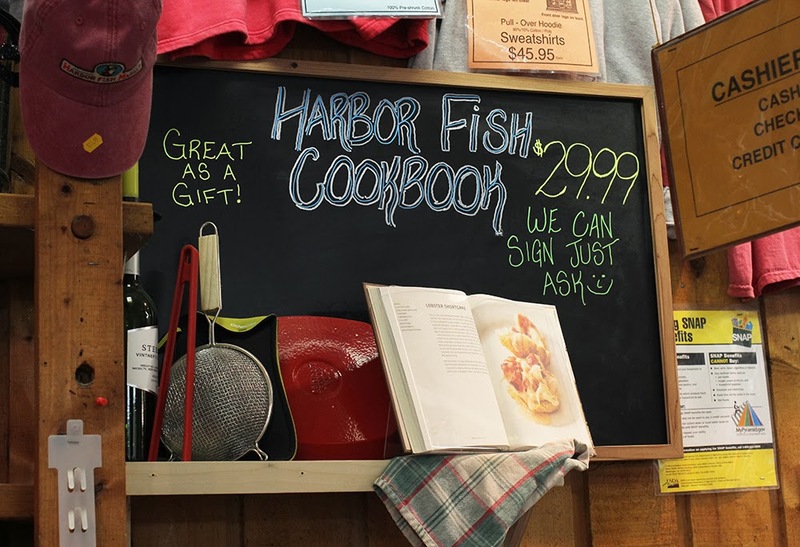 In Harbor Fish Market: Seafood recipes from Maine, the Alfiero family’s 30+ years of expertise comes to life with crab cakes and baked clams that would make any true Mainer proud. But it also includes a few dishes that go beyond tradition like scallop ceviche and a lobster roll with crème fraiche and lemon. Of course, this wouldn’t be a Maine cookbook without various takes on chowder and fish stew. There’s crab-meat and corn chowder, a Scandinavian fish chowder, a lobster stew, an Italian fish chowder, a Scandinavian fish chowder and an Italian twist on fish stew called cioppino which is made with non-classic fish stew ingredients like mushrooms, oregano, curry powder and lime juice. What makes this book even more appealing is how Asian and Italian influences come to play as well. This fusion adds an interesting dimension to some traditional Maine seafood dishes. With this book, you’ll master some fundamental techniques on how to grill seafood and create fish stock. You’ll also get some handy tips on how to buy fish, cook lobster and how to properly fillet and skin a fish, making this that must-have practical cookbook you’ll keep in your kitchen for years to come. 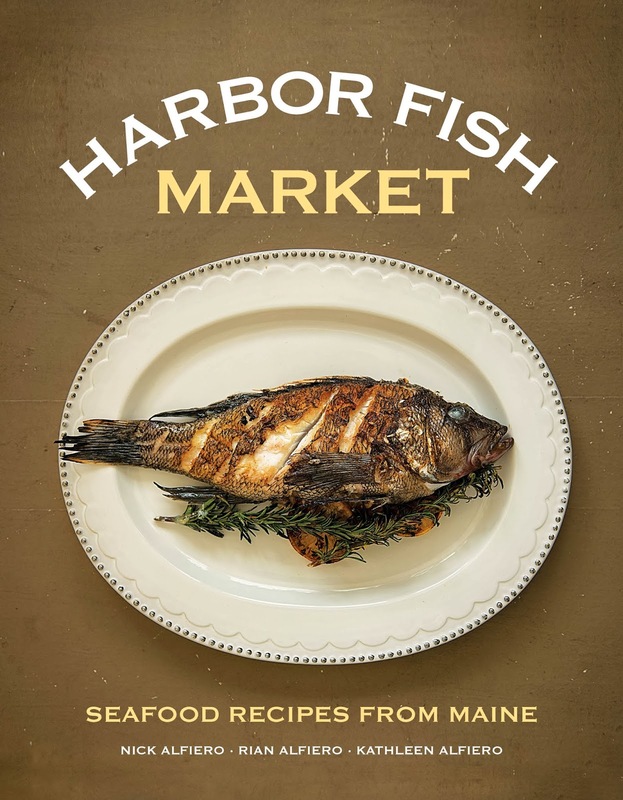 Harbor Fish Market: Seafood recipes from Maine (Down East Books) is available for $29.99 at amazon.ca or Down East Books. Visit the Harbor Fish Market at 9 Custom House Wharf in Portland, Maine for your personalized signed copy. 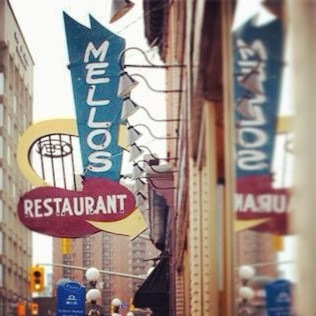 Last year, the owner’s of Mello’s came up with a cool idea to breathe new life into the 70 year-old diner. 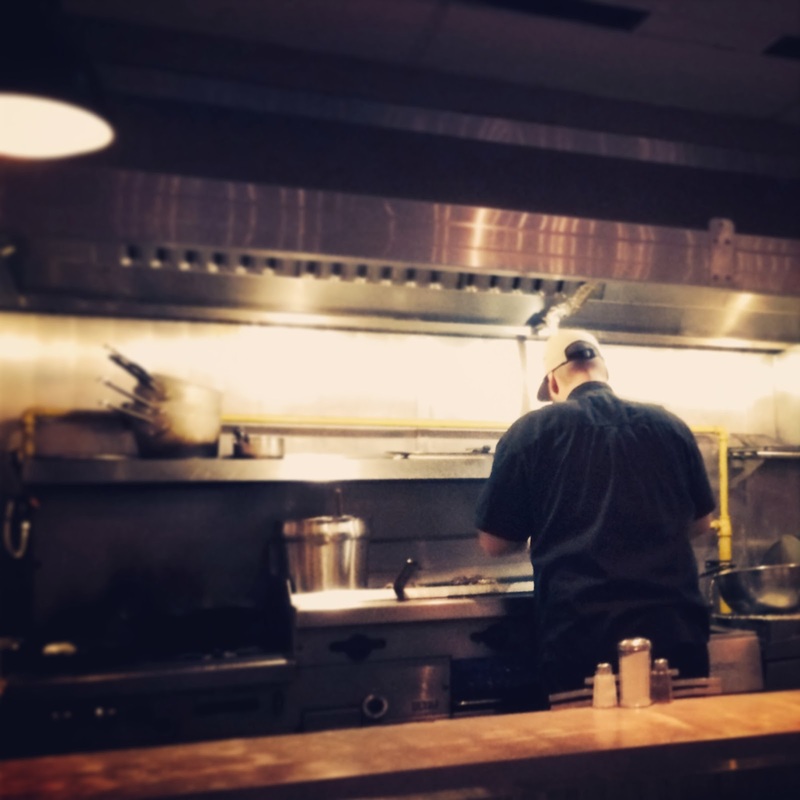 A permanent “pop-up.” Why not open in the evenings, reinvent the menu and offer new takes on old classics? 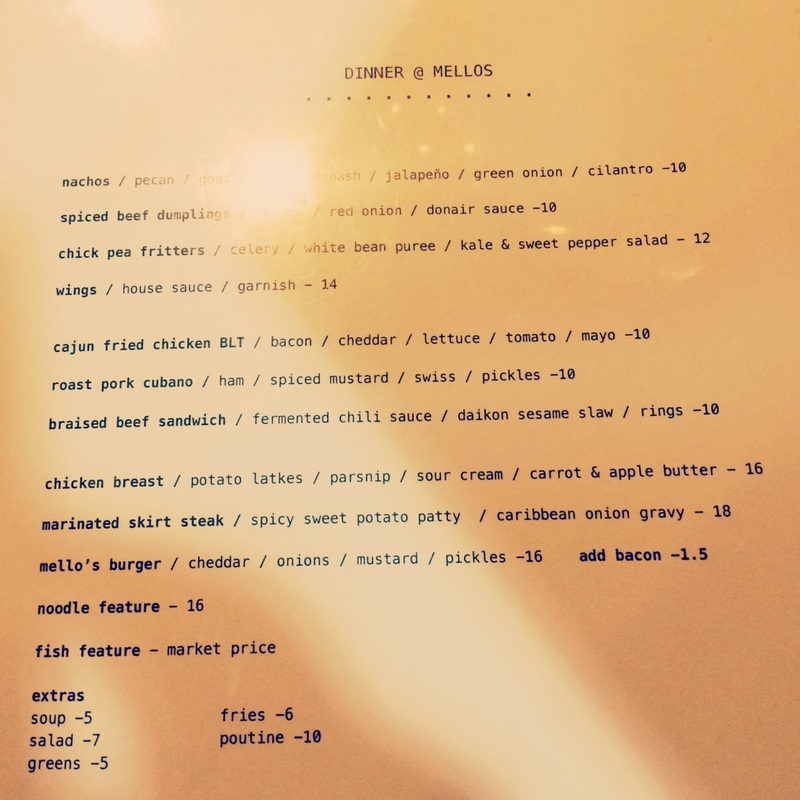 Steak, burgers, noodles, dumplings and sandwiches have been elevated to a supernatural level, all wonderfully executed and kindly priced. The basic yet envelop-pushing dishes are some of the best I’ve ever had the pleasure of eating. The word “best” is bandied about so indiscriminately these days that its true meaning has been distorted. “Best” has become slang-fodder for anything that’s remotely good, pleasing or enjoyable. But it should be reserved for a supremely incomparable, truly award-winning and momentous thing or occasion. 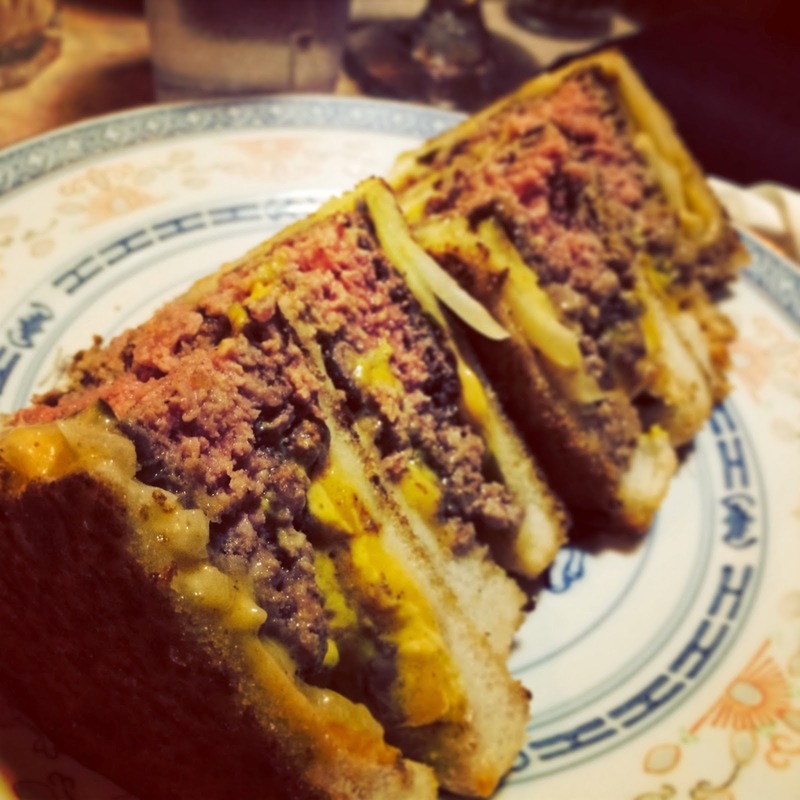 So allow me to restore “best” to its original luster and speak about something that is world-class, top-grade and truly “the best,” the Mello’s Burger. Now I’ve seen a lot of things, been to a lot of places and eaten a lot of burgers in my lifetime. Shake Shack, In-N-Out, Craigie on Main…all glorious. But I’ve never ever, NEVER EVER been sent to hamburger heaven as I did that night I visited Mello’s. A flat-top griddle is used to sear the patty, creating a crunchy caramelized crust and a juicy center. 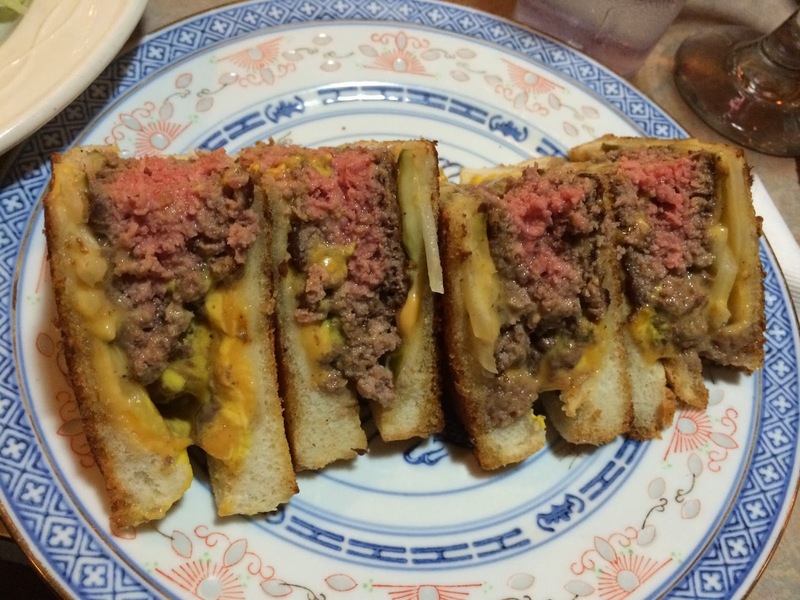 The beef was beefy and each bite oozed with luscious flavour. 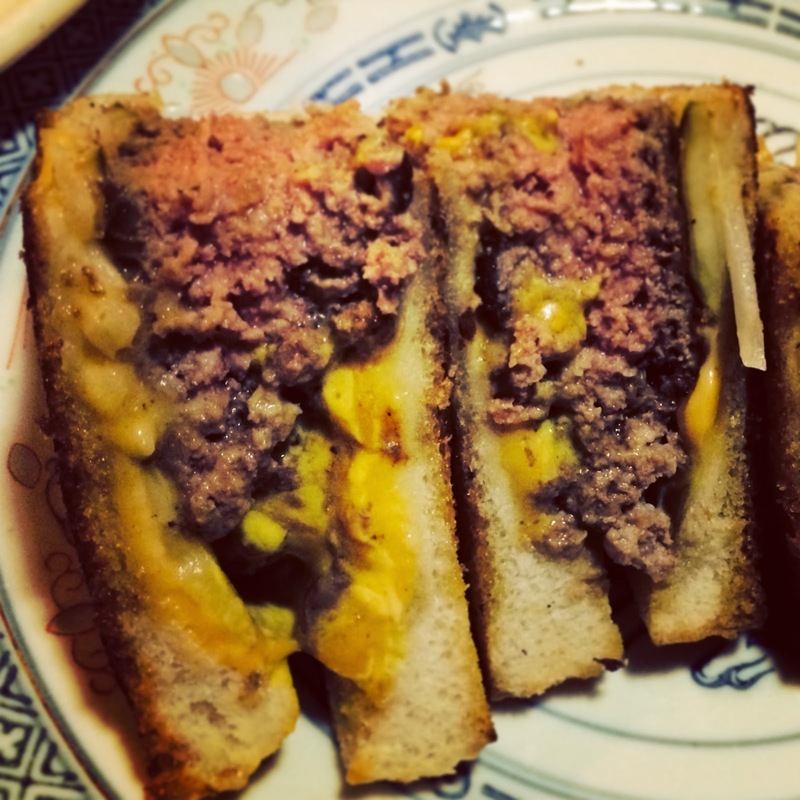 Served on toasted bread, the burger experience was made all the more memorable with a just-right melding of cheddar, onions, mustard and pickles. This burger, folks, is a thing of beauty. 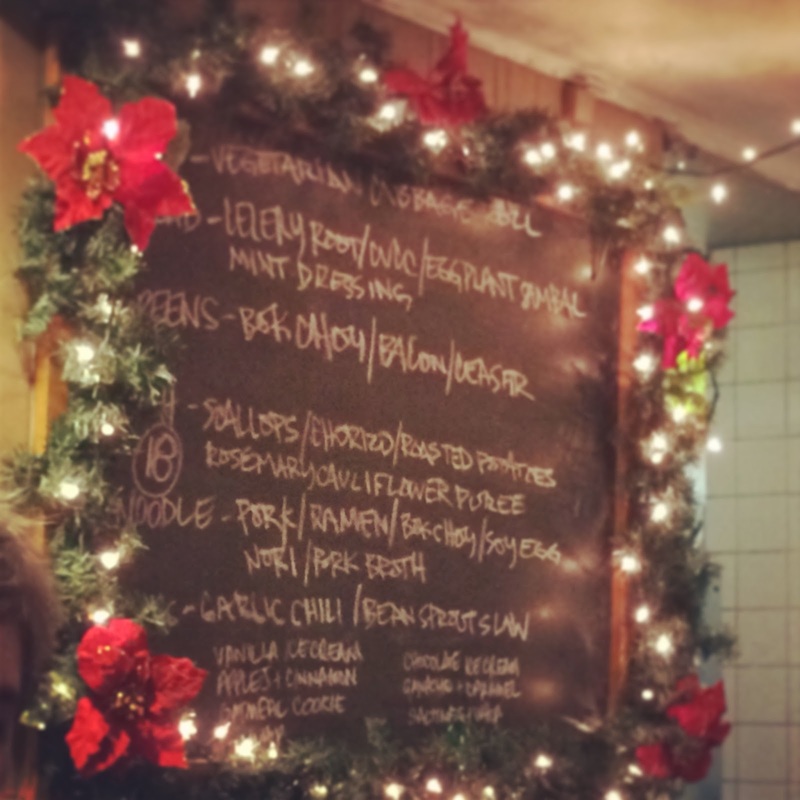 There is plenty of other fare to be had that is equally as delicious. My pals devoured the scallops with chorizo and rosemary cauliflower puree. It was declared a winner! My side-salad was huge, big on flavour and included a creative combo of ingredient (celery root, eggplant and mint dressing.) There is an inventive but affordable take on a braised beef sandwich with fermented chili sauce, daikon sesame slaw and rings. I spied guests devouring the roast pork cubano sandwich, which is made up of ham, spiced mustard, Swiss cheese and pickles. That’s on my list for my next visit. But really, the ultimate champion of the evening, was without a doubt the Mello’s Burger. It was, truly the best! 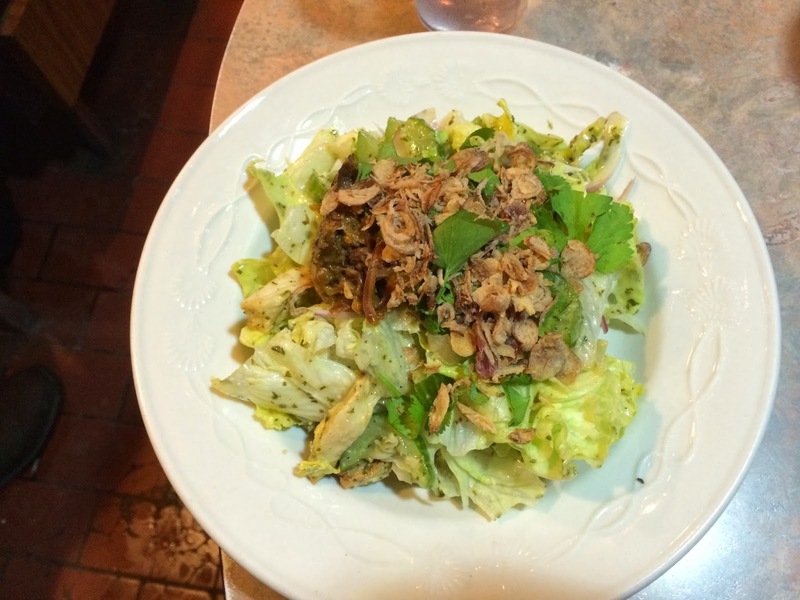 Salad: Celery root, eggplant and mint dressing.